Does anyone know if the Multi's extra rear fender will bolt to the Hyper? And what about the chain guard? And also, will its better looking rear sprocket carrier work? If not, are there any better looking ones out there in aftermarket? I just don't like how plain the rear sprocket carrier on the Hyper looks -- looks too "Chinese" basic to me. I'm assuming that piece with the 6 bolts sticking out of it is called the "carrier?" I think the extra rear fender actually looks pretty nice, too! DO u think the the fender looks good on the Hyper?? I dont know....just look weird to me. this fender looks not nice at all. i don't like the design! 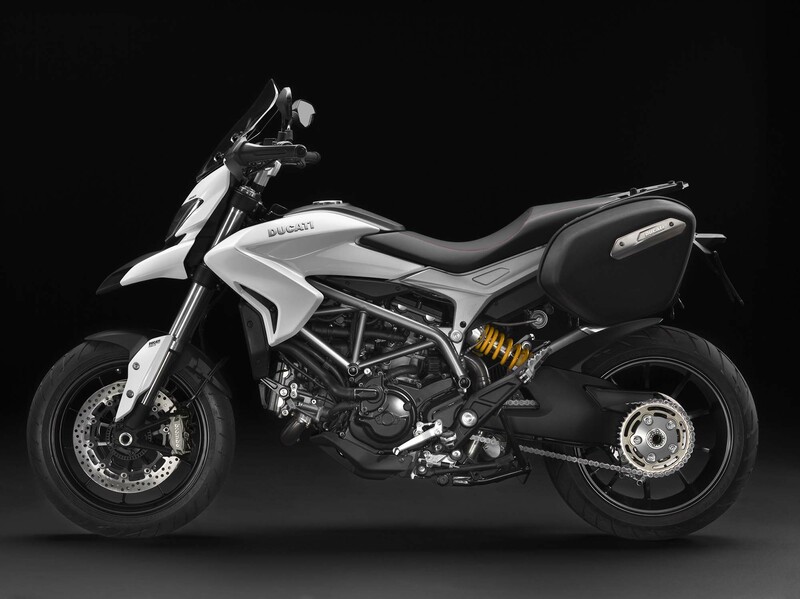 If I have a Multistrada or a new Monster 1200 i take the "extra rear fender" off! I'm glad the Multi has those things, as it's $6k more. It has a lot of the stuff we complain about not having. If that rear fender is mounted via the rear swingarm pinch bolts, I'd be hesitant. It will not bolt on the swing arm on the Multi12 is drilled and taped to accept the rain guard the Hyper is not. Wondering if I should buy the Multi splash guard and give it a try. Wonder how much the part is. If not too much, I think I'll try it. As long as it comes with longer bolts to make up the difference, I don't see why. The Rizoma one bolts to the swingarm pinch bolts.